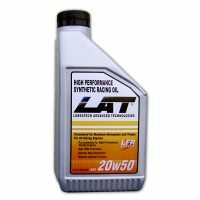 This is a SEMI synthetic high performance gear oil designed to provide superior shock load and wear protection under the most extreme conditions. 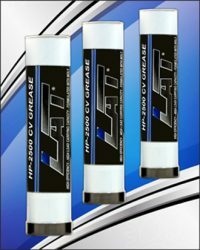 Specifically developed to reduce friction and wear at sustained high operating temperatures. 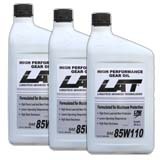 LAT 85-110 enhances shift selection with smoother more precise shift actuation. 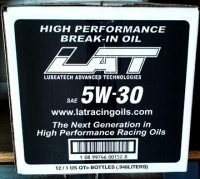 The unique lubricant is formulated from the highest quality synthetic base oils fortified with VI improvers, rust inhibitors, foam suppressants and LAT’s exclusive LFR extreme pressure additive. Exceeds API GL-5. 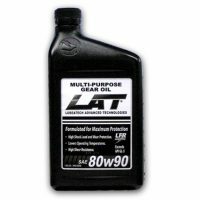 LAT GEAR OIL. A perfect choice for all types of on and off road racing machines and high performance street vehicles.